In an increasingly competitive ecommerce market, sticking to dated selling methods is a certain way to lose the battle for survival. To remain relevant, online brands need to change their thinking. 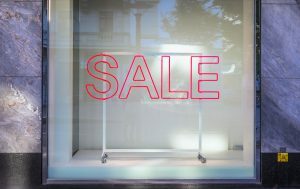 A recent study revealed that when it comes to high value goods (£250+), 94% of Brits are influenced by discounts and deals. Discounting, however, will always be a race to the bottom. At the same time, cost remains the single biggest key decision factor. So to dominate the online marketplace, e-retailers need to add value without cutting their price and profit margins. 96% of consumers cited price as influential with 62% deeming it very influential. Retailers are fully aligned with 100% deeming cost to be an influential factor. Last year John Lewis announced a 99% fall in profits. This year Asos’ profits plunged by 87%. The culprit? Heavy discounting. Both retail giants cut prices time and time again to match those of their competitors. In fact, UK eCommerce retailers have embarked on the highest level for discounting in almost 10 years. Staying close to your customers outweighs price and product. But don’t take our word for it. In an instagrammable, selfie-driven world, relevance trumps discounting every time. So instead of focusing on the overall cost, retailers should explore the ways they can make the payment process easier for their customers. Customers are unpredictable. They demand brands to be constantly updating and changing to align with their tastes. A good example of this is how e-retailers appealing to Millennials and Gen-Zers have started shifting to environmentally friendly packaging and clean couriers. At Dimensions the number of brands actively requesting the use of recycled, recyclable and/or biodegradable materials in their fulfilment has increased by 86% since 2015. These changes help brands show to consumers that they take their needs seriously at every stage of the buying cycle. Similarly, online brands are moving beyond “Hi KATE” emails and creating highly personalised and connected experiences. Personalised offers, cart abandonment, order confirmation emails and even order updates are paving the way for building a closer relationship between brands and their customers. So we’re seeing more and more brands offering an elevated customer experience that goes beyond a purchase. This creates unmatched value for consumers that can’t be beaten by a discount here and there. Selling goods online in 2019 is all about removing friction. That means ensuring consumers can pay via whichever channel they prefer. And most customers are willing to stay loyal to companies that offer an effortless payment process. So another way to avoid discounting is to offer consumers ‘pay later’ options. When it comes to high value items, being able to spread the cost out over interest-free instalments can persuade shoppers to make the purchase when they may not have done if they had to pay the entire cost upfront. Offering finance options helps consumers to manage their day to day costs. The benefit for e-retailers? Being able to widen their customer base to include shoppers who may have previously been excluded without instalment payment options available. 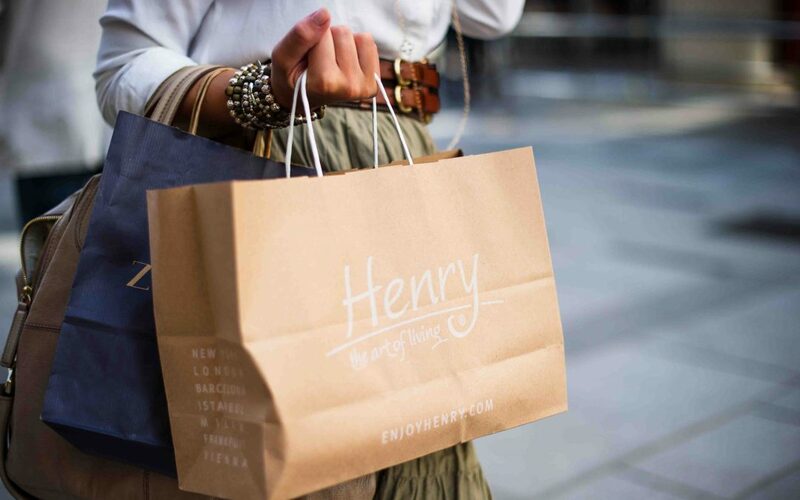 The benefits of the ‘Buy now, Pay later’ model to retailers. When it comes to large online purchases, UK consumers are cautious with their purchases. But by changing your approach, it’s possible to tempt shoppers to part with their money. In a competitive environment where there is only a small difference between one retailer and the next, eCommerce stores should be doing all they can to appeal to consumers. The more tools you have in your toolkit, the more you’ll be able to offer consumers and tip them in your favour. Discounts can be a double-edged sword. With so many retail sales periods booming throughout the year, it can result in major retailers competing in a race to the bottom, shrinking profit margins along the way. But there are other ways to drive sales. Without the drawbacks of heavy discounting, buy now –pay later models enable retailers to offer more flexible payment methods which in turn lead to increased conversions and an increase in average order value. Moving to update your packaging,shipping and personalisation to align with current consumer expectations will give you the upper hand in the competitive online market.